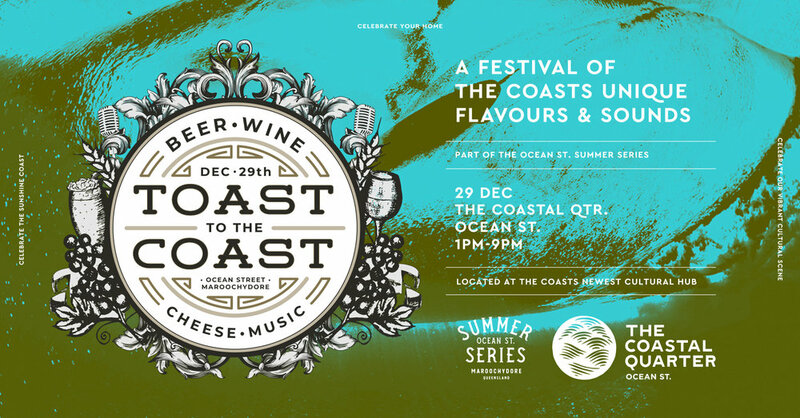 A celebration of the Sunshine Coast's flavours and sounds. The finest producers of beer, wine, cheese, music and more will be heading in from Noosa To Caloundra, Mooloolaba to Mooloolah and settling side by side to create an absolute haven of treats. If you are a home brewer, a craft beer enthusiast, a foodie, a holidaymaker or a proud Sunny Coaster, this celebration is for you! A family friendly event until 6pm. Then it's time to tuck the kids into bed and keep the delights running for grown-ups till 9pm. Come check out the Sunshine Coast's entertainment hub, The Ocean Street Precinct, while sipping and nibbling on the finest artisan products that the Sunshine coast has to offer.